California Choice Limo provides luxury limousine service, shuttle service, and sedan service for Valley Village and nearby. Our most well known attribute is our business class limousines and luxury sprinter vans. Our limousine services are best in class with chauffeurs that are experienced, professional and provide an experience our clients never forget. California Choice Limo provides point-to-point pickup and drop off services for our luxury limousines, shuttle vans and premium sedans. Our service begins in Los Angeles and can go as far as you need to travel. Once you arrange your point-to-point limousine or luxury sedan service in Valley Village, our dispatch will ensure your limousine will arrive on time, clean, and ready to transport you and your party. Schedule your service today and learn about our specials and offers. California Choice Limo provides the best rates in Valley Village, Los Angeles, CA. Our hourly limousine services start as low as $75 an hour. Choosing our hourly service will ensure your limousine or luxury sedan stays near your party and is available to pickup anytime your party is ready to go. Hourly service ensures our chauffeurs are available for you within the requested amount of time you reserve for. Schedule your limo service and see why thousands of clients choose us for their weddings, parties, airport limo transfers, and other special events. California Choice Limo is your number one choice for reputable limousine service in Valley Village and the rest of Los Angeles. Our limousine service extends to nearby cities including Burbank, Studio City, Sherman Oaks, and West Hollywood. Centrally located in the heart of studios, hotels and corporate businesses; we are ideal for business class limousine services for our community. Whether you’re interested in point-to-point limousine services, or hourly, California Choice Limo provides the best limousine rates in Valley Village. Our community driven, family owned limo company provides Los Angeles International Airport car service, limousine service and luxury shuttles for traveling and business. Our transportation services extends to weekends, late nights and even for 24 hours. Our limousine service is here to serve you, anyway we can. Schedule your limousine for airport transportation, wedding limousine service, quinceanera limousines and other special events. California Choice Limo Service provides one of the best and most affordable sedans service in Valley Village. Learn more about us and reserve for your airport transfer or event today. 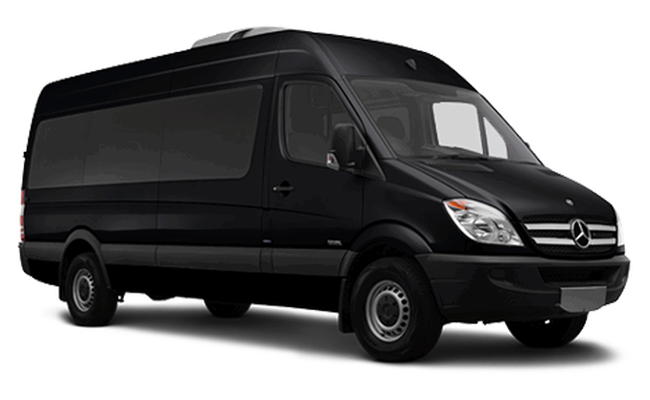 California Choice Limo Service is a full fleet of Mercedes Benz Sprinter vans of almost every size. Our fleet is designed for airport transfers, wedding service, quinceanera and anniversary. View more pictures and reserve today. Our Lincoln MKZ is one of the best limousines in our fleet. Our clients enjoy a spacious 14 passenger limousine with all the amenities you would expect from a premium limousine. Get pricing and information by inquiring online. California Limo Service provides clients easy and convienent ways to reserve luxury sedans, limousines and shuttle buses. Schedule your service simply by filling out the form below. Online reservations require 24 hour notice. California Choice Limo provides luxury limousines, sedans and shuttles for Valley Village, and nearby locations. Centrally located at the heart of Los Angeles, we are most popular in West Hollywood, Valley Village, Sherman Oaks, Studio City, Encino, and Beverly Hills. We have offices all over Los Angeles, get costs and start the reservation process today.